One of the components that seems to be very susceptible to problems from oil sludge is the Variable Timing Actuator. There are very tiny passages in this component and if oil can't get through, the actuator will stop working, the car will not run right and, in most cases, a Check Engine Light will turn on. Oil sludge has become more of a problem over the last 10 or so years as a result of environmental concerns and tightened budgets. In attempts to get fuel economy up, manufacturers are using smaller, more high-performance engines and they are running them hotter to burn fuel more efficiently. They are also requiring lighter weight oil and the combination of all of this is creating an environment where sludge can occur. Another reason for a manufacturer to lengthen maintenance intervals is to be able to keep the projected cost of maintenance down on the vehicle, thus making the purchase price of a vehicle more attractive to buyers. Most of us are not in the habit of checking the oil in our cars, and based on this low oil trend that I am seeing, this is a problem. May I suggest if you are changing your oil at a 4,000- or 5,000-mile interval or more, you check the oil at least once in between your oil changes, and add a quart when it runs low. This one simple chore could save you a lot of money and aggravation. Beware of pushing your oil change interval out too far. Oil changes are cheap compared to having to do any kind of engine work. Make sure the correct oil is used when you do have your car serviced. Make sure a synthetic blend or full synthetic oil is used. If you are going to run longer intervals, use a full synthetic. Full synthetic oils are not as prone to sludge and can perform well on longer intervals. Remember, buyer beware. 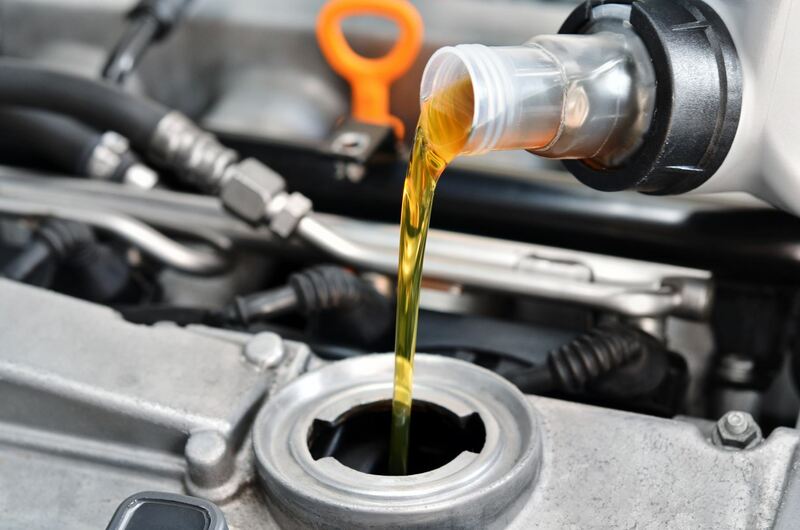 An inexpensive oil change may not include quality engine oil and a quality oil filter. Always ask before you have your car serviced.